So excited to be able to offer the amazing Original Salt-Water Sandals to you! Colours include: Pewter, Red, Mustard, Navy. The first model to come out of Walter Hoy's workshop in 1944, the original is defined by it's little way stitched rubber sole and plaited leather upper. 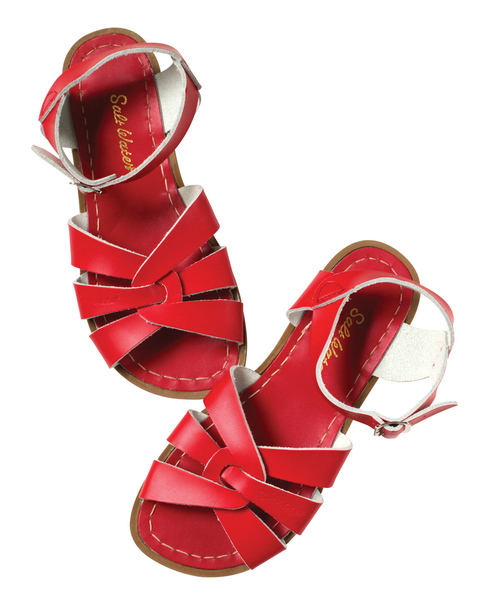 All Salt-water sandals come with rust proof buckles, can be worn in water, and hand washed with a gentle detergent. They are comfortable, super durable and simply beautiful.